LONDON, ENGLAND – It may say London, England on his mailing address, but Ryan Koriya is a man of the world. 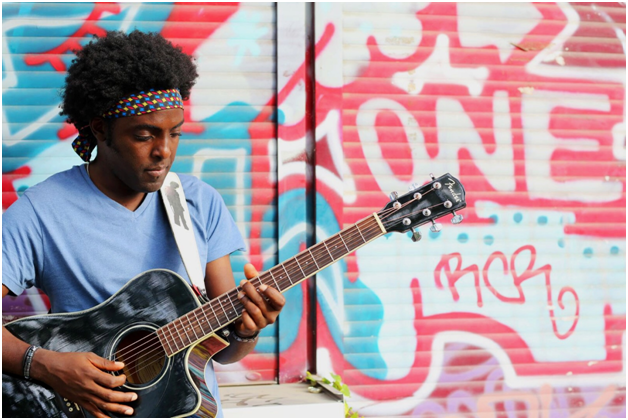 Originally hailing from Zimbabwe, Koriya has spent the better part of the past decade traveling the world, sharing his music with others in an effort to help people realize the joy of life and overcome their struggles and hardships. In addition to making a documentary about his travels and exploring the deeper side of music that connects people all over the globe, Koriya has also launched a single called “Drowning In Space” that has been inspiring people in all corners of the world. The music video for the single – which can be found on Koriya’s YouTube page and already has more than 75,000 views – was shot using a GoPro camera as he traveled more than 10 countries per year over the past four years. It’s a fast-paced video with shots from international locations all over the world – featuring people and cultures and locations that most people rarely get a chance to visit. Anyone who watches it will be immediately be sucked in to the sights and sounds and experiences of Koriya’s journey as he shares his music with the world. Koriya’s early forays into this lifelong mission started during his youth in Zimbabwe, and the frustrations with the inaccurate perceptions of who he was came much more after touring internationally. The need to make the documentary came from that desire to help portray a more accurate image of who he is and what his culture is, opposed to the outdated clichés, he said. In many ways his outlook on life is mirrored by his approach to music. He is adept at multiple instruments and has taught himself how to mix and master his own songs. Today he considers himself a “one-man corporation” in that he plays all the instruments, produces all his beats, engineers everything, tours on his own and even records his own music videos while making a documentary. Fans who want to learn more about Ryan Koriya can visit his website at ryankoriya.com, or follow him on Facebook, Instagram and Twitter to stay up to date on new music releases or live performances. Fans can also check out more of his music on his Soundcloud page, or on his YouTube channel.